A couple of weeks ago Brittany and I went to see Howl, a recent film about Allen Ginsberg, his poem titled “Howl”, and the landmark obscenity trial that followed a public reading of it in San Francisco. 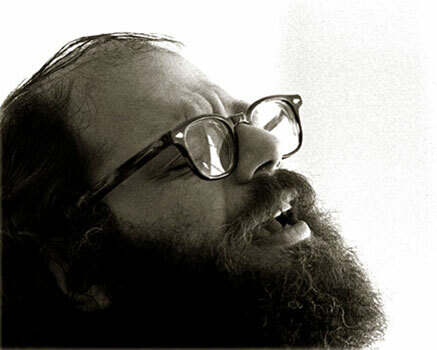 It really got me interested in Ginsberg’s work, so I’ve been reading “Collected Poems, 1947-1997”, an anthology Ginsberg himself compiled, adding his own notes and explaining certain passages. It’s been really enlightening to read his work in chronological order; it allows you to trace his progression from stricter, older forms to a voice and style that’s unique and singular. Reading Ginsberg’s poetry in this way also allows you to pick up certain symbols and references that he comes back to over and over, sometimes over a period of years, and these act as signposts and markers that make the writing easier to navigate. 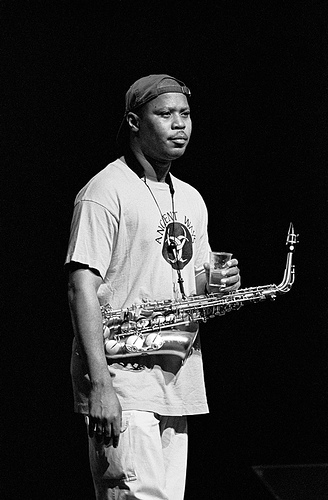 I’ve really enjoyed this focus on one artist, one body of work, and I’m curious about whether that kind of focus would be as fun with the music I practice and listen to, so for the next unknown amount of time I’m going to focus my small and unworthy amount of musical study to Steve Coleman. Coleman is a good choice for a several reasons: He has a very clear set of musical theories and approaches, he has a lot of material available online, and I’ve wanted to get deeper in his music for a while now. I plan on starting just as I did with Ginsberg, and move from his first recording to the present, as long as its still interesting to me, and hopefully it will have the same effect as the poetry: picking up signposts, hearing his style progress and solidify, etc. It should be a fun experiment! Sounds like an interesting experiment. Hope it stays that way for you!